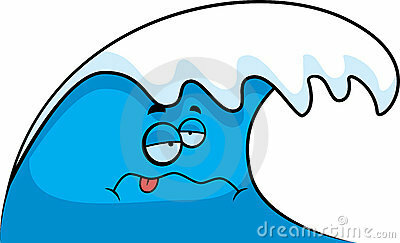 Don't you just love the saying "I'm feeling under the weather" except of course when it applies to you. Yes, I am feeling under the weather today. Just where in the world did that phrase come from? Here is what I found through a little research, and I do mean little. I googled it and then I copied and pasted. It's all I felt up to at the moment. This popular phrase for "ill" dates back to 1827. It is commonly believed that bad weather can make you sick. UNDER THE WEATHER - "Ik Marvel, a pseudonym that resulted from a misprinting of J.K. Marvel, was the pen name of American author Donald Grant Mitchell. In his 'Reveries of a Bachelor' Ik Marvel is the first to record 'under the weather,' which has been a synonym for everything from 'ill and indisposed' to 'financially embarrassed' and 'drunk,' and has even been a synonym for 'the discomfort accompanying menstruation." From "Encyclopedia of Word and Phrase Origins" by Robert Hendrickson (Facts on File, New York, 1997). "Under the weather. To feel ill. Originally it meant to feel seasick or to be adversely affected by bad weather. The term is correctly 'under the weather bow' which is a gloomy prospect; the weather bow is the side upon which all the rotten weather is blowing." From "Salty Dog Talk: The Nautical Origins of Everyday Expressions" by Bill Beavis and Richard G. McCloskey (Sheridan House, Dobbs Ferry, N.Y., 1995. First published in Great Britain, 1983). Let me tell you, I would make a terrible sailor. I get sea sick just standing on the dock. Why is it when we get sick we instantly revert to childhood and wish our moms would take care of us? Oh wait, my mom is right downstairs. Maybe she'll fix me some chicken soup. She is pretty darned good with that electric can opener. I'm so sorry you're not feeling well! And I completely understand wishing you could be a kid again with mom taking care of you ;-) Hope you rest and recover soon! Interesting post! I better watch saying "under the weather!" as I don't want anyone to think I'm drunk! Does your mom hire out? Mine's been gone for over twenty years! Get well soon! You make sure to take just as good care of yourself as others...promise us now. 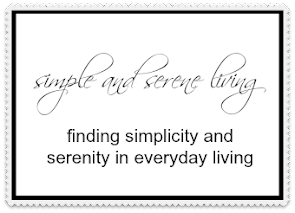 Make a cup of hot tea, and relax, add in some lemon and honey. I'm glad you still have your sense of humor! That's the way I make chicken soup too! Very interesting etymology of "under the weather". I hope you get over the weather soon! I'm sorry you're not feeling well, I hope your mom cooks that soup for you and rest, rest, rest. What a lot of interesting information. The sailor one makes the most sense. 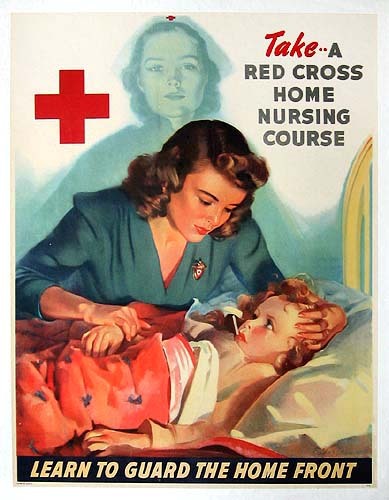 I love your Red Cross poster. Oh, the beautiful hair and dress on the mom. I love it. I am sorry that you are feeling poorly. Hope you get better soon. Hope you feel better. Isn't it interesting all the expressions we use, often without thinking about where they come from. chicken soup and maybe a grilled cheese if you feel up to it! 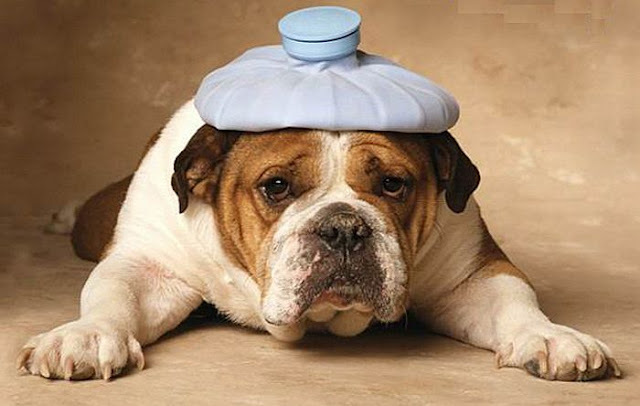 I hope your feeling better soon-under the weather isn't fun! Chicken soup was on the way until I got to the end of your post. MOM already took care of that with her trusty can opener. As she always knows best, I’ll just send good wishes for a full recovery soon. I'm sorry you're under the weather. Eat some chicken soup even if it is out of a can and get well soon!! YOU amuse me while you are suffering. Your humor comes out when you don't feel well? That was quite a remarkable post whilst not feeling well. I'm not sure if I want to wish you well or not. I quite liked your mood. I wouldn't have posted a minute if I was "under the ships bow and rocking away from the weather" -- I do appreciate the lesson I learned here. Take care, my sweet! get better. Hope you are feeling better. I have to say I love the picture of the dog with the ice bag on the head. Ahh so cute. Take it easy.